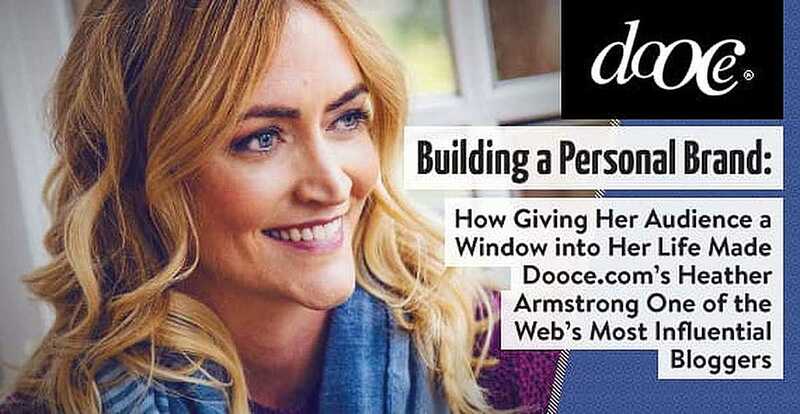 In a Nutshell: Recognized as one of America’s most influential bloggers, Heather Armstrong has built her personal brand by giving readers a glimpse into her family life on Dooce.com. Heather’s wit and honesty led to a loyal following, and she’s learned to wade through the negativity to find constructive criticism that allows her to better serve her readership. 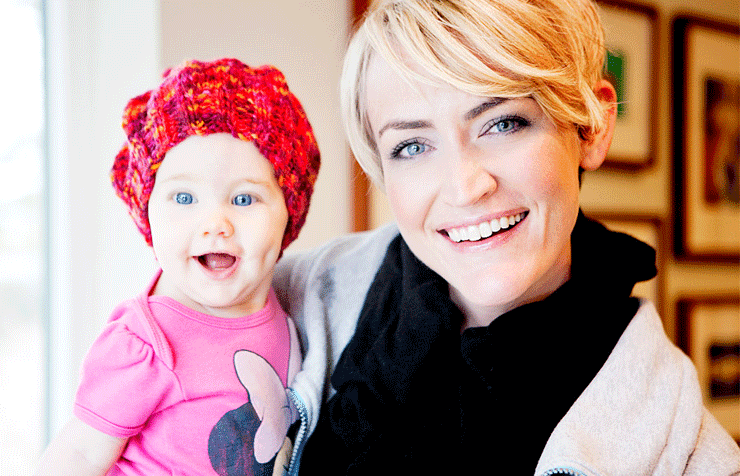 While she’s not writing as much these days, the exposure from Dooce has led Heather to new career opportunities that allow her to spread a message of sustainability and help increase access to quality health care for poor mothers around the world. Modern observers of social media and online posts typically won’t bat an eye when product placement finds its way into content. Banner ads just don’t pay the bills for bloggers as they once did, and monetization is crucial to keeping websites up and running. This wasn’t always the case. When Heather Armstrong first started work on a deeply personal blog, Dooce.com, in 2001, her strategy wasn’t to make money. In fact, Google AdSense didn’t even exist until 2003. Named after Heather’s propensity for misspelling the word “dude” when typing too quickly, Dooce was her platform for sharing her opinions and sense of humor with the world. Heather has written three books, one of which reached #16 on the New York Times Best Sellers list. Bloggers, like Heather, who share intimate details of their lives tend to hear a lot of negativity from anonymous internet trolls, but she learned that hidden amid the harassment is constructive criticism that helps her better serve her readers. In recent years, Heather has shifted her primary focus to work as a consultant and social activist. She still keeps her readers informed through various social media platforms, and she’s learned a lot about how to best reach audiences across different mediums. For instance, readers on Instagram want beautiful photos of her family, while her Twitter followers are more receptive to her political opinions. A New York Times Magazine headline referred to Heather as the “Queen of the Mommy Bloggers,” a term she detests but became true with the birth of her first daughter in 2004. In the months leading up to Leta’s birth, Heather began writing what she believed would be her final blog post. At this point, Heather’s juggling act intensified as her popularity was exploding. She began putting Google ads on Dooce in 2004. The ads were already bringing in a few hundred dollars a month when she was contacted by an ad network that promised her more money if they could sell ads for her site. At this point, Heather and her husband were making enough money to quit their day jobs and turn the blog into the primary source of income for the family. Heather with her youngest daughter, Marlo, in 2009 before a trip to grandma’s house. The blogging landscape has changed dramatically with the devaluation of banner ads and the growing trend of sponsored content. Modern audiences are more accustomed to product placement and native ads in content. In fact, it seems to be their preferred form of receiving advertising. According to research cited in a Huffington Post article, 70% of people prefer learning about products through content as opposed to through traditional commercials. However, this marketing strategy is much more effective when it feels genuine. The recent blogging business model has been a challenge for Heather, who isn’t always comfortable with marketing brands to a slightly older audience that seems less receptive to these advertising strategies. She’s a big believer in authenticity in her writing and is extremely selective about which brands she’s willing to work with on generating revenue for the site. Many of Heather’s readers visit her site for her sense of humor on parenting and everyday life, and she often has to get creative to raise awareness for some of the causes she cares deeply about while keeping her content entertaining and genuine. 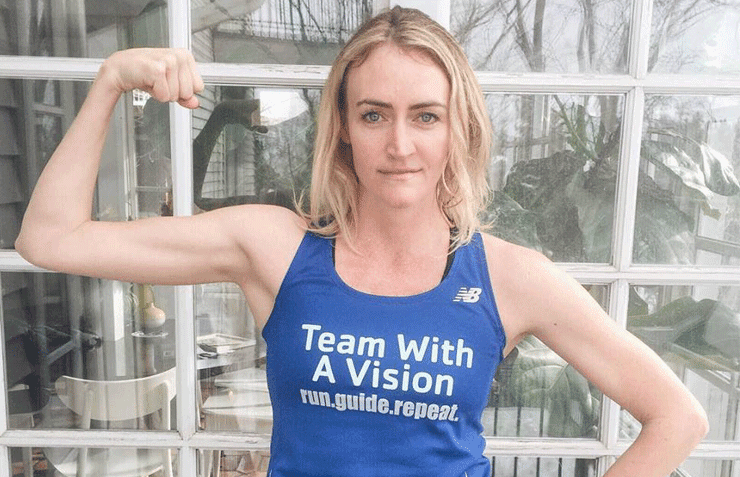 Heather participates in charity races, such as this race where she guided a blind person, to help causes she cares about. While her extensive work on Dooce built Heather’s personal brand, it’s also created opportunities for her to make a difference in the world. “My website has offered me every opportunity that I’ve ever had,” Heather said. After reading Jonathan Safran Foer’s 2009 book about food choices and sustainability, “Eating Animals,” Heather wrote about how it affected her. She eventually became a good friend of the executive director of Farm Forward, a nonprofit that collaborated on the book. The exposure she brought to the cause through Dooce led to Heather’s latest career opportunity as a consultant for Farm Forward. 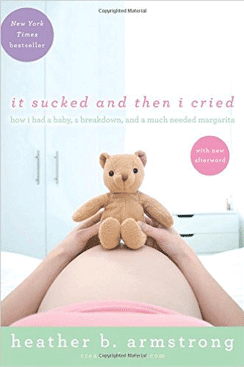 Writing about motherhood also gave Heather a chance to help other less fortunate moms around the world. She formed a friendship over Twitter with supermodel Christy Turlington, who runs a nonprofit organization called Every Mother Counts. Christy invited Heather to join the cause as the team’s Technology and Media Advisor, and she’s used her well-traveled online platform to spread awareness for an important issue. “It’s a maternal health organization, which I thought was perfect for my audience because it’s about bringing health care to mothers around the world who can’t afford it,” Heather said. Heather’s been busy with other opportunities like consulting work and social activism, but the itch to resume blogging remains.